Do you know what today is? It’s our house-iversery! Well, not today but September 17th made seven years that we’ve been living in our home and I can’t believe it and I’m just getting around to putting this post together. So in honor of my home that I’ve definitely grown to love and adore over the last seven years, I thought it would be fun to play a game of “Then and Now” to see how far we’ve come. 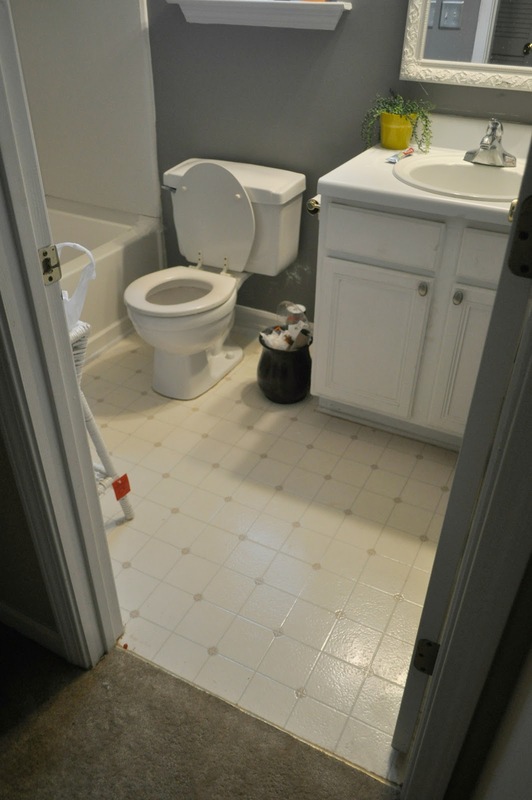 I’ve pulled some photos from the original listing of the house, and some photos of how the house looked when we first moved in after we called ourselves adding some personal touches, and how it looks now. It’s always fun to see where you started, just to see how far you’ve come! It’s been a fun journey so far, so lets get started! This is the first view you see when walking into our home. 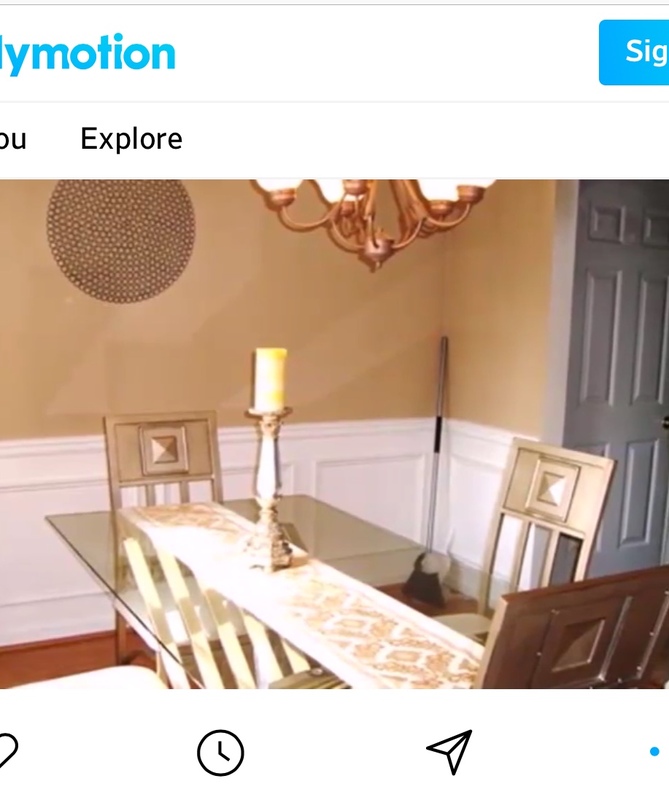 This image is from the original house listing. 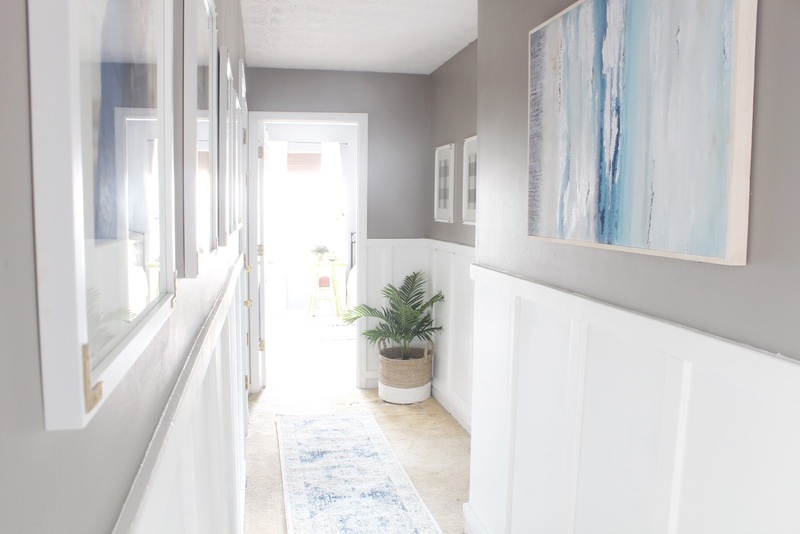 When moving in, we painted stripes, added a gallery wall and made it an overall more welcoming space. I love how it has evolved over time. 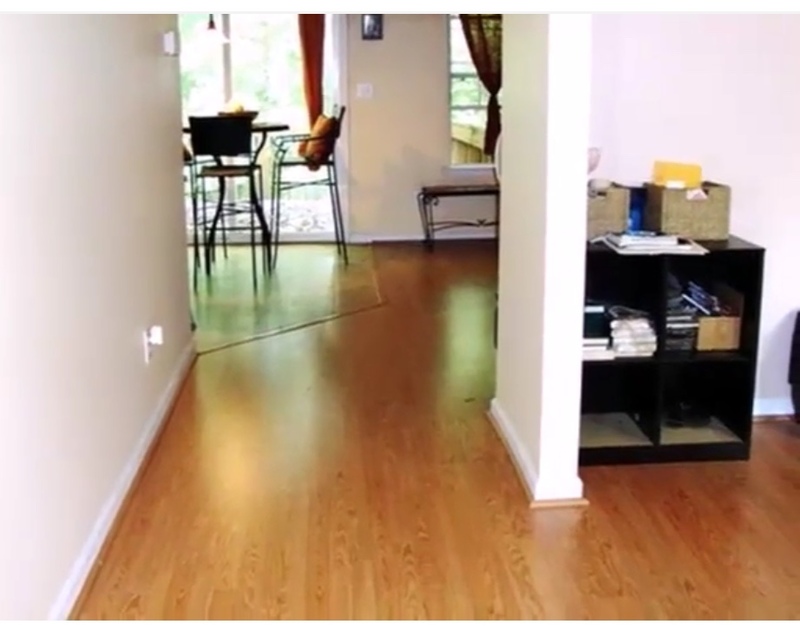 Just to the right of the hallway is our living room. 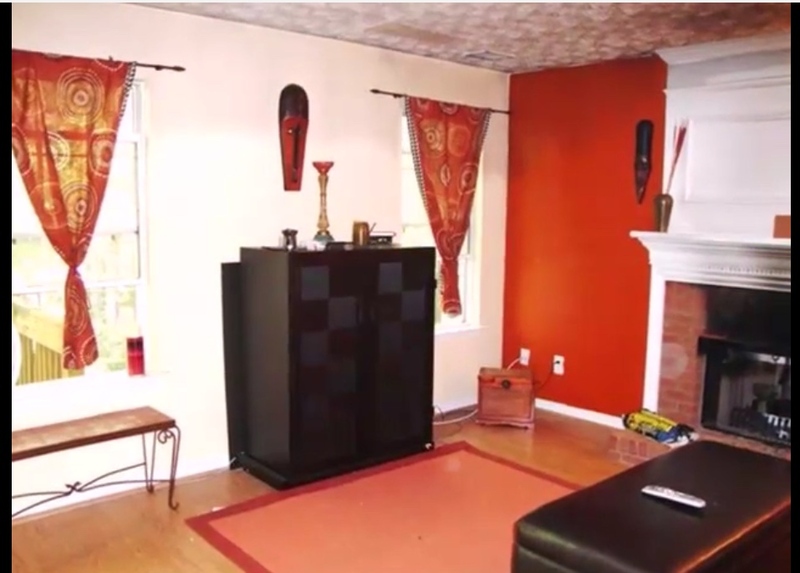 At listing, the living room looked like this. Through several DIY Projects such as my coffee table and the board and batten wall, paint, 2nd hand furniture, and some complimentary accessories, this space has evolved into my favorite room in the house and I love to come in here and just chill. Again, another listing photo of our home. I can’t get with the taste of the people who owned the space before us, but I guess they decorated based on what they liked, which is the most important. When we moved in, this is exactly what the room looked like. They burned the crap out of that fireplace, and I knew I wouldn’t be able to live with it for long. When we moved in, I searched high and low for some some DIY built-in options that would work for our budget. The best option were my Ikea Billy bookcases that I found on Craigslist. I painted the inside blue and styled them. They were the perfect alternative until I was able to get real built-ins. A few years ago we were able to make the built-in dream come true and they were definitely worth the wait. We invested in a new sofa as well, and I love how the combination of the built-ins and new sofa brightened the space nicely. At listing the kitchen looked like this. Even at move in. 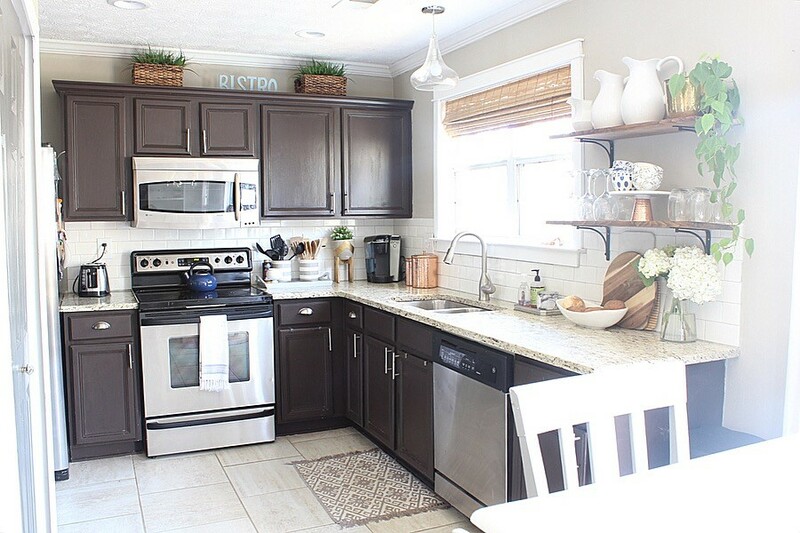 When we moved in, we painted the kitchen using the Rustoleum cabinet transformation kit. It was a good temp fix until we could do more upgrades over time. A couple of years ago we were able to get new countertops, I DIY’d subway tile and got new flooring, and added a woven window shade. 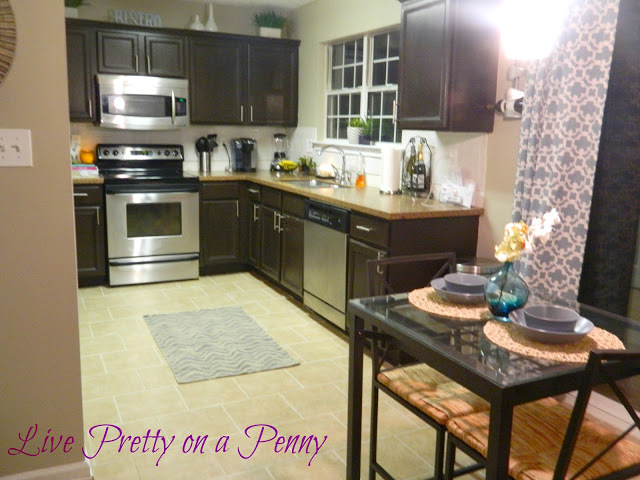 Recently, I painted my cabinets again using the HomeRight paint sprayer, which freshened the space up. 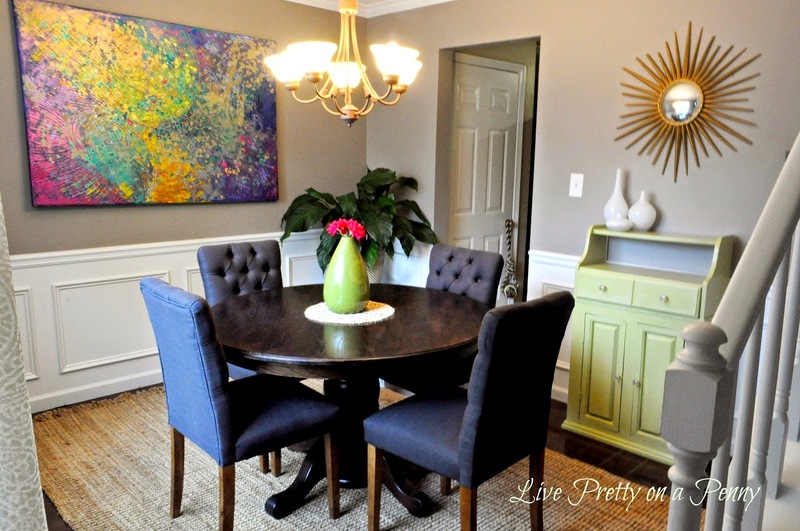 When we moved in, I painted the space Fashion Gray by Behr, and added this round 2nd Hand table. I also added this art and cabinet that was painted a pretty green color. Recently we made over our 2nd thrifted table and loved how the oval shaped table was the perfect update for the space. To make this room even more functional, we recently added a built-in bench, and I’ve done a couple of other updates. I’ll be revealing this space soon. 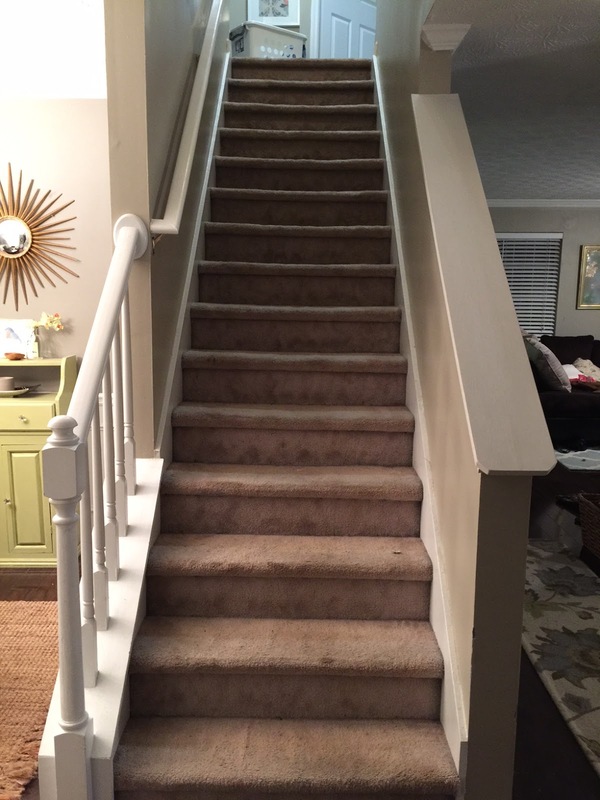 When we first moved in, we lived with old dingy, carpeted stairs for the first 5 years. 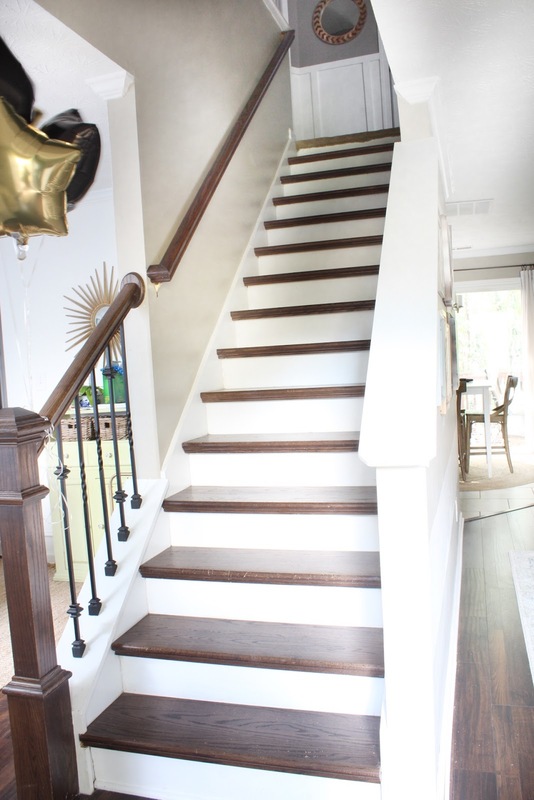 A couple of years ago, due to some water damage, we were able to get stained treads metal balisters. We love the outcome. 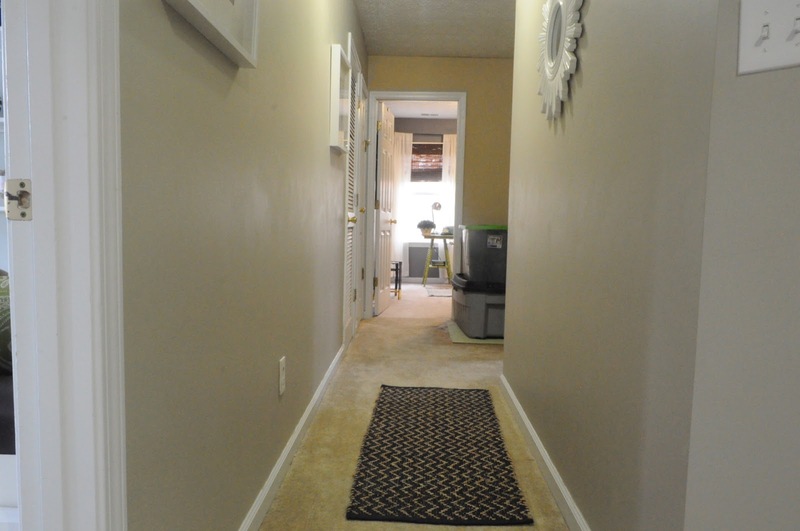 Our upstairs hallway was one of the most neglected areas, as most hallways are. 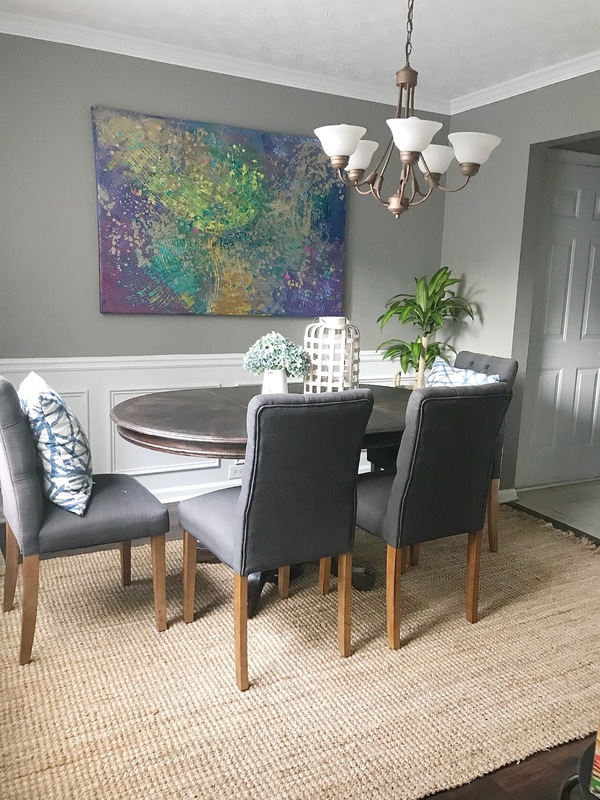 With a simple board and batten treatment, some family photos, greenery, and new paint, This space was easily transformed. My guest bathroom literally used to be a space where bathroom decor that I didn’t want anymore went to die. After a partnership with Floor & Decor, I was able to pull this space together and I love how it turned out! That’s pretty much it and where we are now. I’ve loved seeing the changes and I hope that you do too. Hopefully next home-versary I will have even more updates for you. HOLY TRANSFORMATION! I love it! you did such a great job! And happy house-aversary! Beautiful. I have been in my house 40 years and have not made much of a difference. You can work miracles.